The authors have discussed in detail the meaning of employee engagement and its relevance for the organizations in the present scenario. 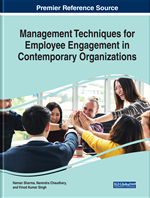 The authors also highlighted the various factors that predict the employee engagement of the employees in the varied organizations. The authors have emphasized on the role that HR analytics can play to identify the reasons for low level of engagement among employees and suggesting ways to improve the same using predictive analytics. The authors have also advocated the benefits that organizations can reap by making use of HR analytics in measuring the engagement levels of the employees and improving the engagement levels of diverse workforce in the existing organizations. The authors have also proposed the future perspectives of the proposed study that help the organizations and officials from the top management to tap the benefits of analytics in the function of human resource management and to address the upcoming issues related to employee behavior. In increasing competitive world which is undergoing a rapid transformation organizations need talented employees, but the biggest challenge is to retain them. Talented employees have many opportunities available as everything is transparent and easily traceable in this digital world. What makes them stay back is productive, engaging and most importantly enjoyable work experience. Having engaged employees is one of the key objectives to which Human Resource (HR) functions are expected to strive. Employee engagement is a condition where employees are passionate about their work and feel proud to be associated with the organization thus contributing to its success. According to recent report by Deloitte engagement remains one of the top priorities for organizations in 2017, it was reported that only 22 percent people feel that their organizations are able to build differentiated employee experience (Deloitte, 2017). Another study conducted by Global Human Capital Trends revealed that there is a drop of 14 percent in the organization’s ability to address engagement issues as compared to last year. Employee engagement is highly desirable because an engaged employee has high level of creativity (Gawke et al., 2017; Orth and Volmer, 2017), organizational citizenship behavior and exhibits better in-role task performance (Christian et al., 2011) leading to client satisfaction (Bakker et al., 2014) and better financial results (Xanthopoulou et al., 2009). Also engaged workers are more inclined to help their colleagues, engagement creates a ripple effect in teams (Bakker et al., 2006; Gutermann et al., 2017; Van Mierlo and Bakker, 2018). Engaged employees are found to be brisk and ardent about their tasks, and are wholly engrossed in their vocation (May et al., 2004; Macey and Schneider, 2008a; Schaufeli et al., 2008). Employee engagement is of much interest to practitioners as it leads to higher performance (Harter et al., 2002; Rich et al, 2010), profitability, productivity, quality, customer satisfaction which results in higher shareholder returns (Wellins et al. (2005); Macey et al., 2009). On employee front engagement leads to lower absenteeism and turnover (Harter et al., 2002; Schaufeli and Bakker, 2004; Bakker et al., 2005; Saks, 2006). Since employee engagement is an affective-motivational construct, employees experiencing it have positive job attitude (Harter at al., 2002; Schaufeli et al., 2008) and get a sense of fulfilment in discharging their duties and responsibilities (Xanthopoulou et al., 2009). Research on employee engagement have been surging since past few years, though highlighted by practitioners (Bennett and Bell, 2004; Baumruk et.al 2006, Gallup Management Journal 2006, Parsley 2006, Woodruffe 2005), it is still largely undermined in academic literature (Robinson et al., 2004). It is an area where rigorous academic research is required (Macey and Schneider 2008b). This book chapter is an attempt to bridge this gap. With recent advent of big data, predictive analytics and artificial intelligence, there is an inevitable need to focus on practical application of analytics on work engagement. A study done by King et al. (2015) proposed application of big data analytics on employee social media activity by capturing managers’ and employees’ brief unconscious “microexpression” data, which might be used to provide indications of employee engagement. Similar studies can be done which may be of vital use to executives and practitioners wanting to better understand and predict employee experience leading to better performance and well-being (Schaufeli and Salanova, 2010; Guest, 2014; Power, 2017).